Summa Health System is one of the largest integrated healthcare delivery systems in Ohio. This nonprofit system encompasses a network of hospitals, community-based health centers, multi-specialty group practice and research and medical education. Summa serves more than one million patient each year in comprehensive acute, critical, emergency, outpatient and long-term/home care settings. “Ed Friedl, the VP of Construction, was blown away by the INSTALL program,” reported Kyle Smith, IKORCC Business Representative. “Mr. Friedl was very surprised to have never heard of the INSTALL program. He was so impressed by the program that he cut my presentation short, saying ‘We have to do this’. 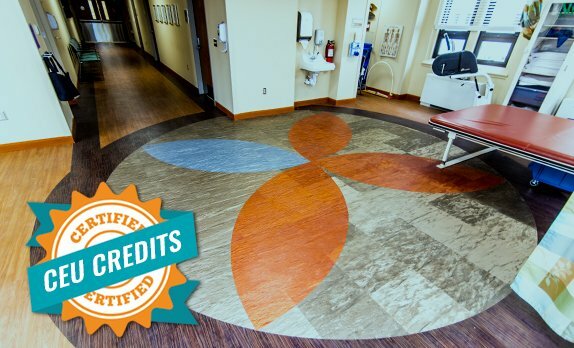 Mr. Friedl recognized the value of INSTALL Certified Professionals in a hospital environment, making it an easy sell.” Effective August 1, 2015, Summa Health Systems will require all flooring installations on any Summa project to be performed by INSTALL Certified floorcovering professional, with an emphasis on INSTALL Warranty Contractors. Additionally, Summa included language requiring Infection Control Risk Assessment (ICRA) training which reduces the risk of exposing patients to contaminants that can lead to hospital-acquired infections. These infections kill more than 100,000 people yearly in the United States and Canada.